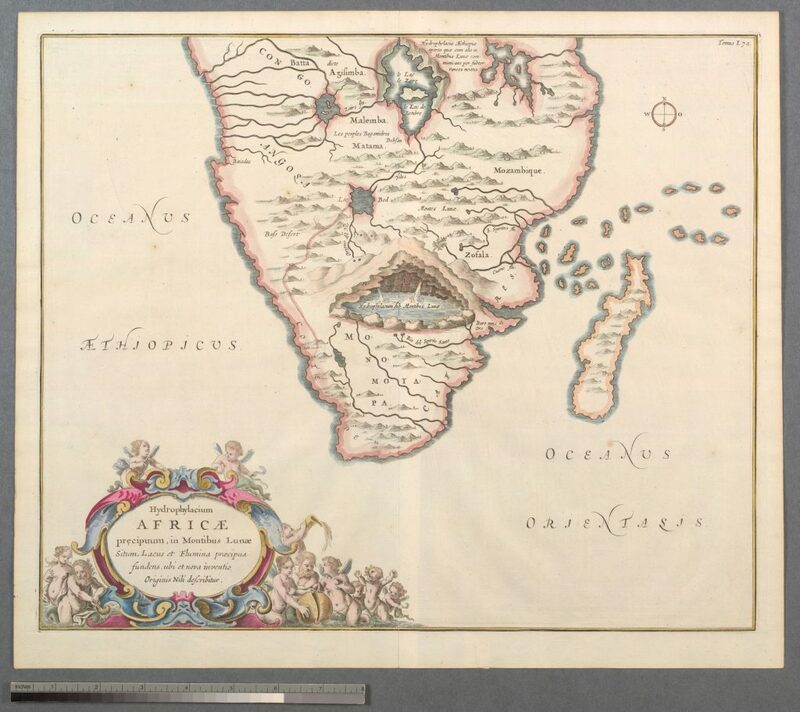 One of the earliest depictions of Southern Africa, this shows the source of the Nile in Ptolemy’s “Mountains of the Moon.” Printed by Athanasius Kircher in Amsterdam in 1665. Source: Stanford University Library. 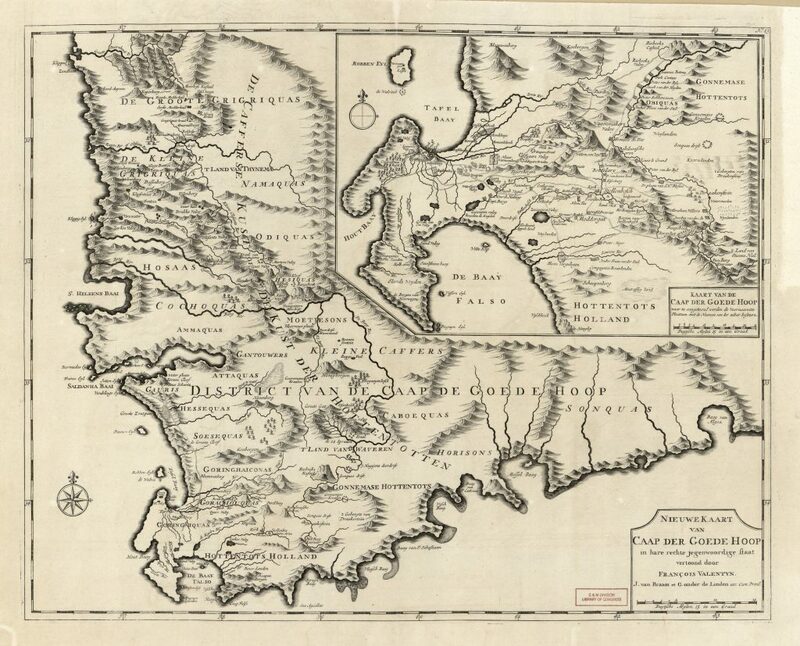 An early map of the Cape from an atlas printed by François Valentijn in Amsterdam. The detail is extraordinary, featuring individual landholders’ names as well as many geographical features. Source: Library of Congress. More information. 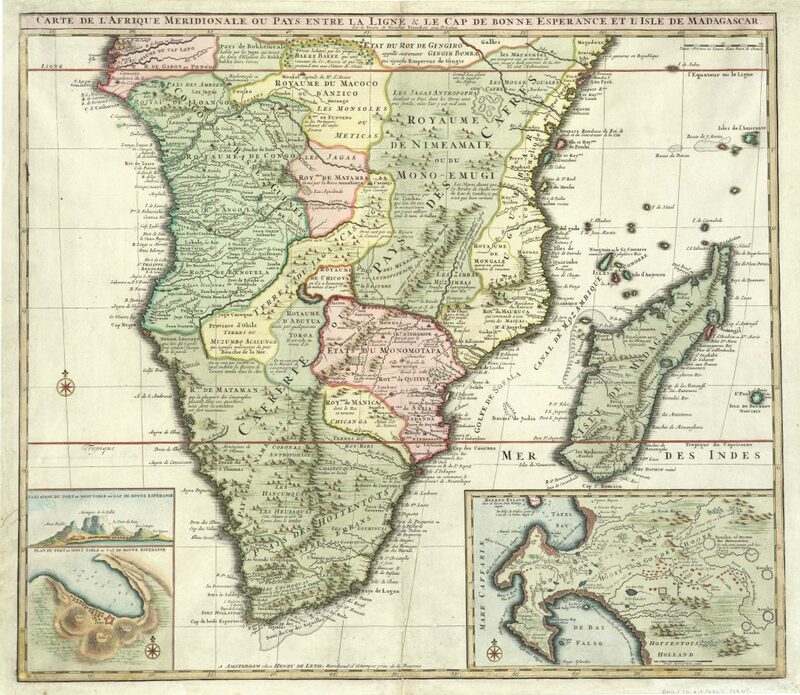 A beautiful and incredibly detailed depiction of Southern Africa from 1730, printed in Amsterdam by Elizabeth Visscher. Source: Stanford University Library. 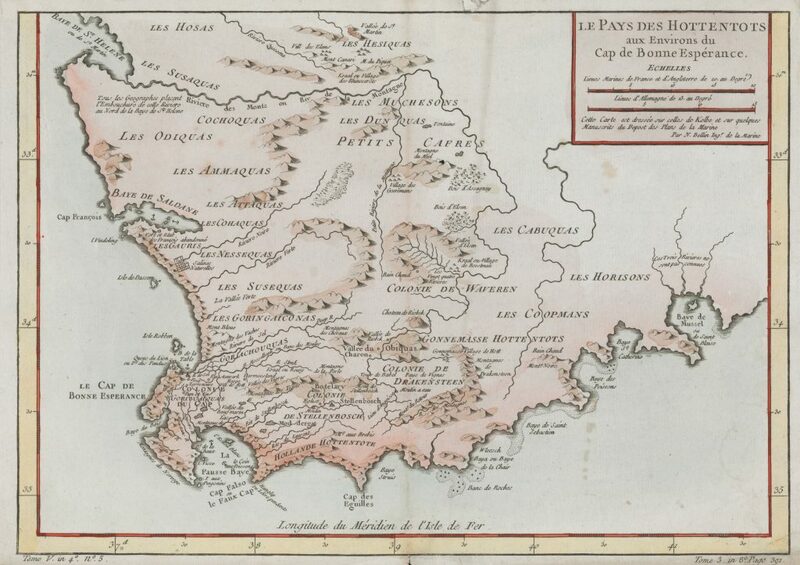 A map entitled “Le Pays des Hottentots aux Environs du Cap de Bonne Espérance,” or “The Country of the Hottentots in the Area of the Cape of Good Hope.” Source: Stanford University Library. 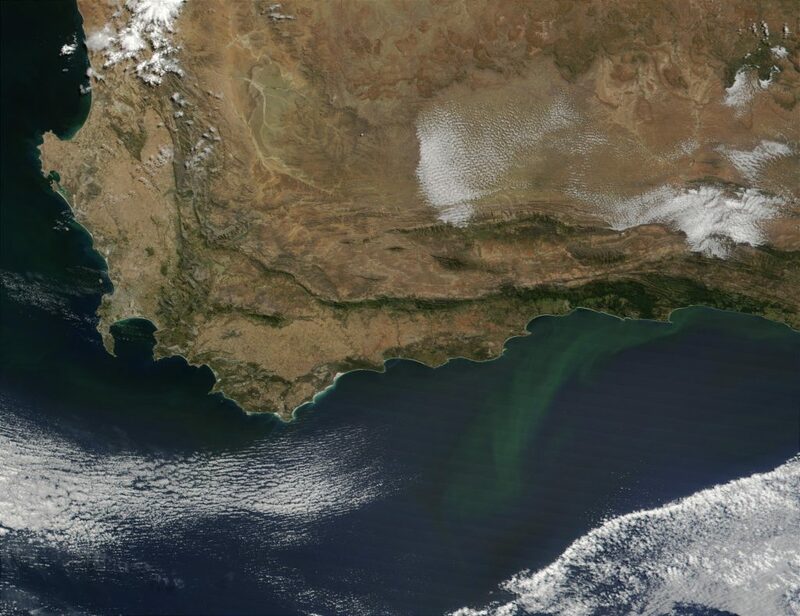 An image of the Cape from March 2002, taken by Jacques Descloitres of NASA. Note the bloom of phytoplankton center-right. Source: NASA. An image of Southern Africa from August 2002, showing parts of (L to R) Namibia, Botswana, Lesotho, Swaziland, Zimbabwe, Mozambique, as well as South Africa. Source: NASA. 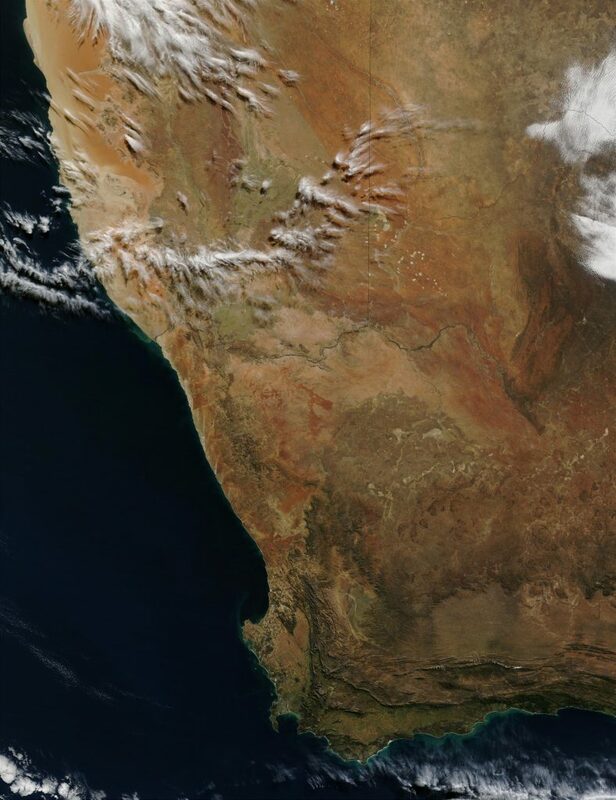 A satellite image of South Africa, Namibia, and Botswana from June 2002. Source: NASA. 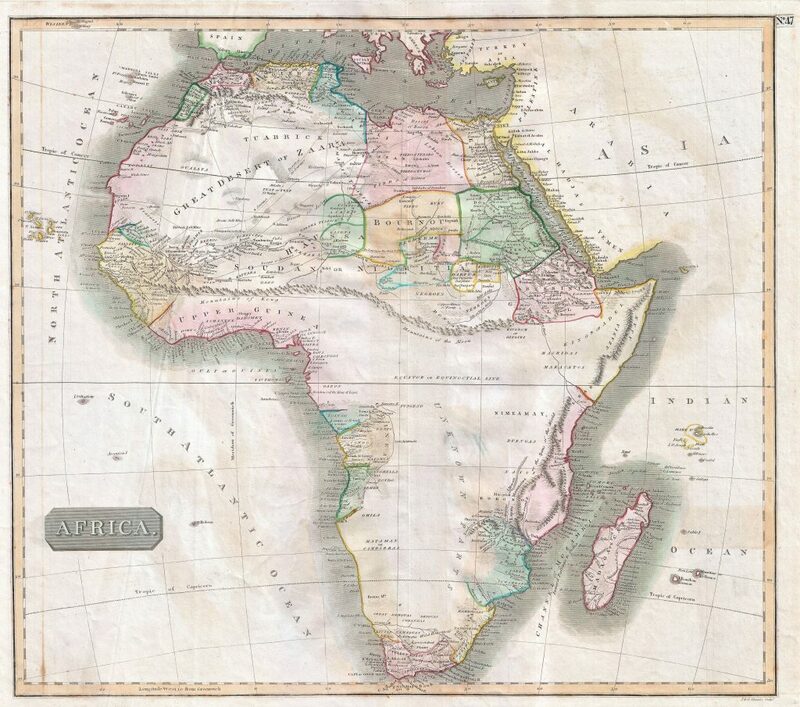 Stanford’s Maps of Africa: An Online Exhibit, which features hundreds of maps with good metadata. It’s also worth searching Stanford’s catalog for the subject heading South Africa > Maps > Early works. The same approach can be taken for other major catalogs, such as at the Library of Congress or Harvard, but Stanford generally has better collections. For a good collection of images, look at the category on Wikimedia Commons called Old Maps of South Africa. Perhaps the most detailed information is provided not by a library but rather by Geographicus, an antique map dealer. Their collection of African maps is truly extraordinary, though it does not always provide large, easy-to-access images. 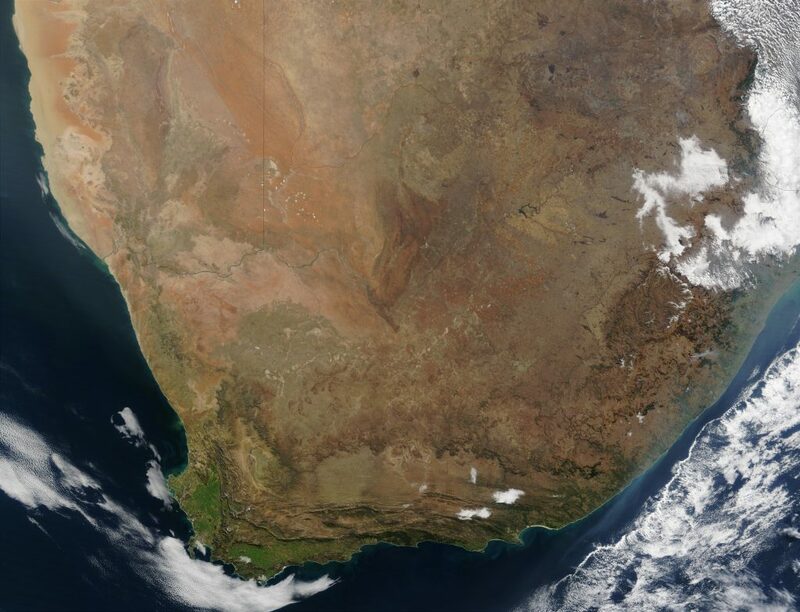 NASA’s Gateway to Astronaut Photography of the Earth, which features hundreds of images of South Africa (taken from space!) from 1968 to the present. Finally, a simple search on NASA’s Visible Earth catalog yields many beautiful results.